i may be forced to close that blog and find a different host. I have been blogging since August 2003 under the name of October30. Why October 30? It is the day I first arrived in New Zealand. On August 10, 2005 I have decided to assume a new identity as Marikenyo (owing to the Philippine city where I grew-up) and blogging using i.ph’s service. If however, if I am not completely satisfied with i.ph’s blogging service I will shift back to Google’s Blogger. My October30 blogs are: My Life at Large and Letters from New Zealand. I am trying to transfer most of my work on the blogs that I have created. I have been using the cumbersome and tiring ‘copy-paste’ method. So far I have transfered or rather ‘copy-pasted’ My Life at Large to marikenyo.i.ph. I think I have spent 12 hours online in creating, customizing and transfering to the other blogging service. Under the current policy eligible people are immediately granted permanent residency to live in New Zealand. The National policy may be in response to a number of immigration blunders under the Labout government. One scandal was letting a former minister of Iraqi Dictator Saddam Hussein to live in New Zealand. It may be understood that under a National or possibly in coalition with right-wing New Zealand First, immigration criteria will become tougher. New Zealanders will go to the polls on September 17 to elect their new Members of Parliament and a new government. In the last opinion surveys National is up against Labour. The former’s popularity may be due to the party’s promise of tax cuts to individuals and corporation. It is unclear yet to what will about immigration policy if National wins the election. However, if Labour will win another term it will likely be status quo. 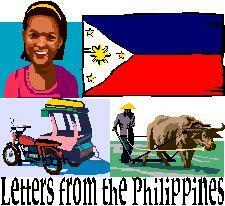 I have decided to stay in the Philippines because of the current political instability. This is why I could be back in New Zealand most likely next year. I am definitely missing the thinks I like and left behind in New Zealand. I miss my flatmates and the house, street, suburb and city we lived. I miss the savoury mince and steak pies and quiche. I miss the low fat ice cream. I miss the public transport. I miss using my ATM/EFT-POS card to make cashless purchases from almost any store in New Zealand. I miss my cousin and my Pinoy friends. I also miss my New Zealand and international friends. I miss my former job and workmates.